Here is a great way to collect, organize and use your favorite recipes. Making great meals comes down to having the right ingredients, time, and a tried and trusted recipe. But sometimes just finding the recipe is a job on its own. The hardest part of cooking should not be finding the recipe. With these helpful recipe cards you can collect all of your best recipes into one place and organize them to make finding your favorites faster. Now you’re ready to get cooking! 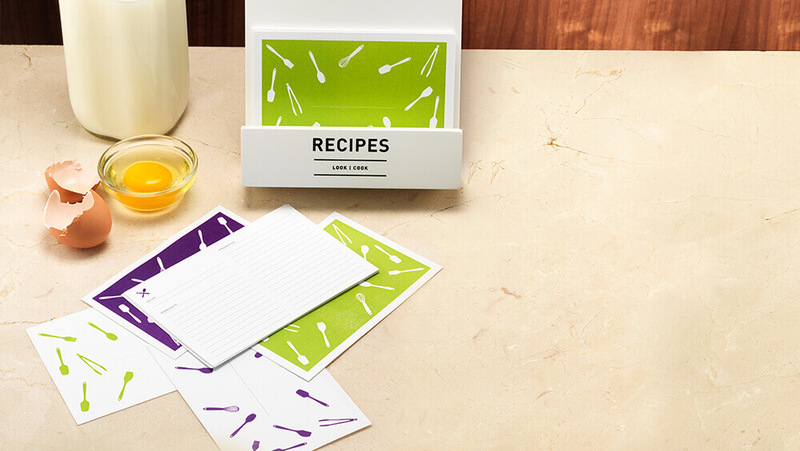 Download and print the recipe card template that fits your style. For our index-style templates Color Copy Digital Cover in 80lb is a thicker paper that works great. If you keep your recipes in a binder, try Hammermill Fore Multi-Purpose 3-hole punch paper for our letter size templates.